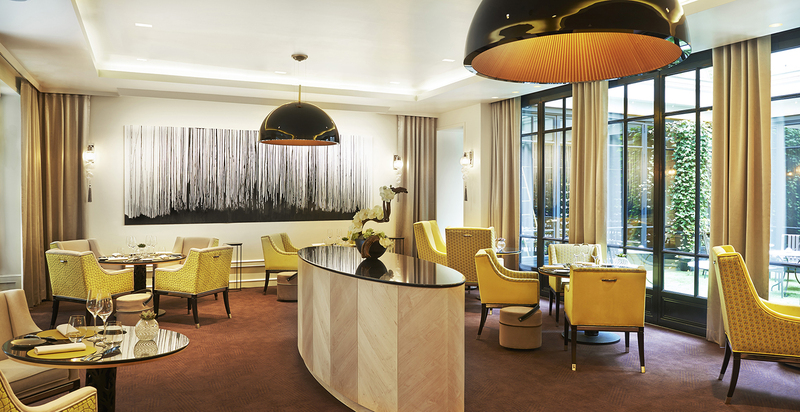 The classic décor of the hotel Le Burgundy Paris embodies ageless Parisian chic and blends it with an innovative modernity. The past and the present are seamlessly unified as the creators of today reinvent the expertise of yesterday. Cosy and intimate, the atmosphere of this hotel has real warmth, enhanced by the talents of the artists and artisans who have poured their hearts into its realization. 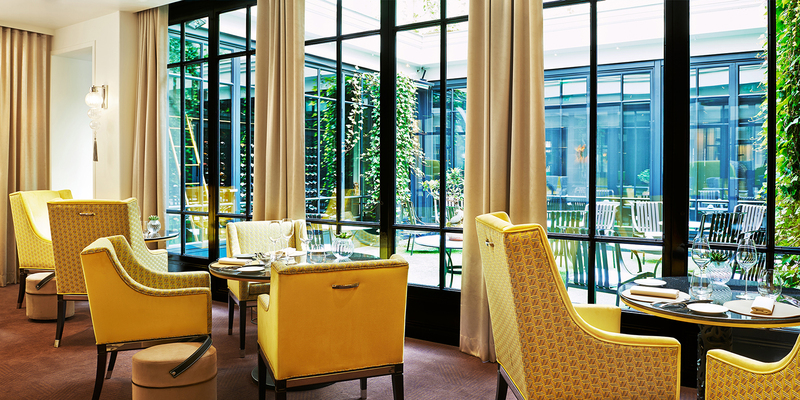 Indeed, the hotel Le Burgundy Paris occupies a prestigious location at the very heart of an eminently fashionable district.  A short stroll will take you to the establishments of the master jewelers of the place Vendôme, the legendary boutiques of the place de la Madeleine and the upmarket retail opportunities to be found within the shops of the rue Saint-Honoré. Le Burgundy is well placed amidst this elegance and offers a superb selection of luxurious rooms and exclusive suites, an ultra-chic bar and a superior restaurant along with fully customised services to delight even the most discerning of guests. K.D. 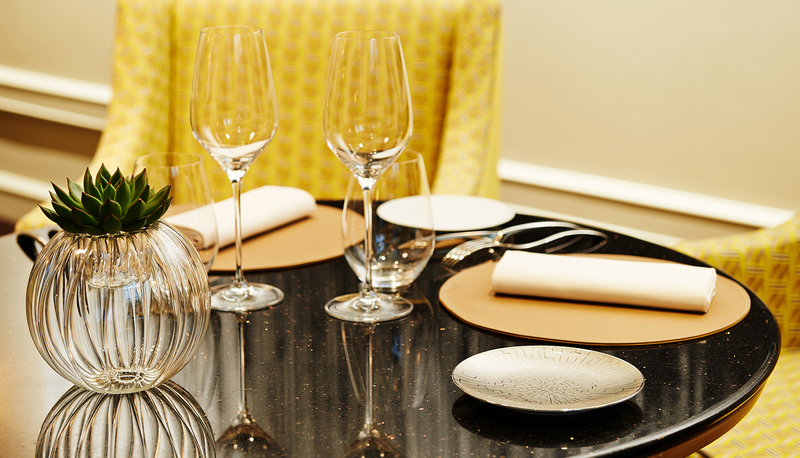 The young Chef Guillaume Goupil has been in the Restaurant for two years. He is passionate and wants to look for delicacie in the dishes. The cooking is a beautiful simplicity, it respects the elegance of the French Cuisine and the richness of the products quality. 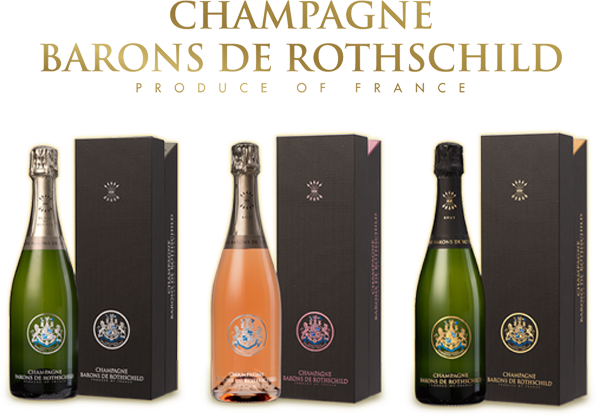 With which dish would you advise a glass of Champagne Barons de Rothschild? K.D. During the aperitif I advise the Extra Brut to wake the taste buds up. On the Chef ’s signature dish: the roasted veal-sweetbreads, the crispy breadcrumbs with capers, young frozen chard with chanterelles mushrooms. 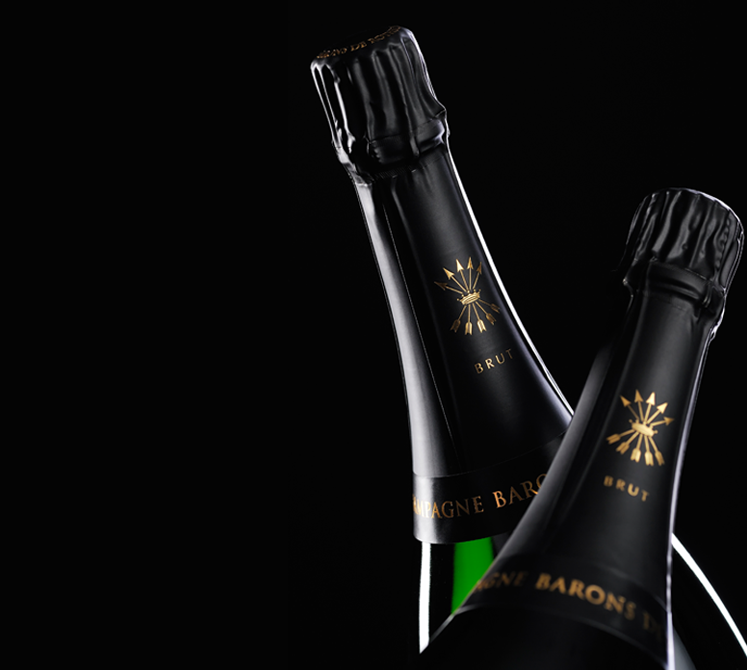 I advise the Brut for liveliness, because bubbles bring dynamism on the smoothness of sweetbreads. 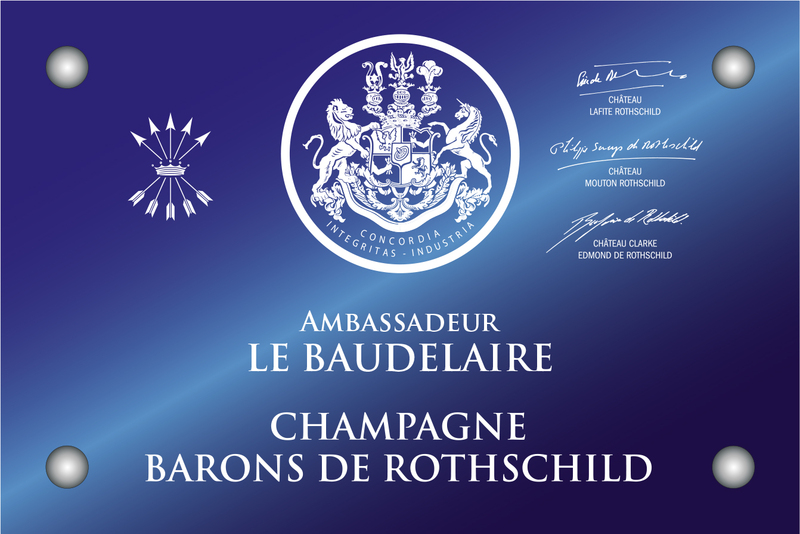 The nervousness of this Champagne will be able to marry with the crunchy side of the breadcrumbs. 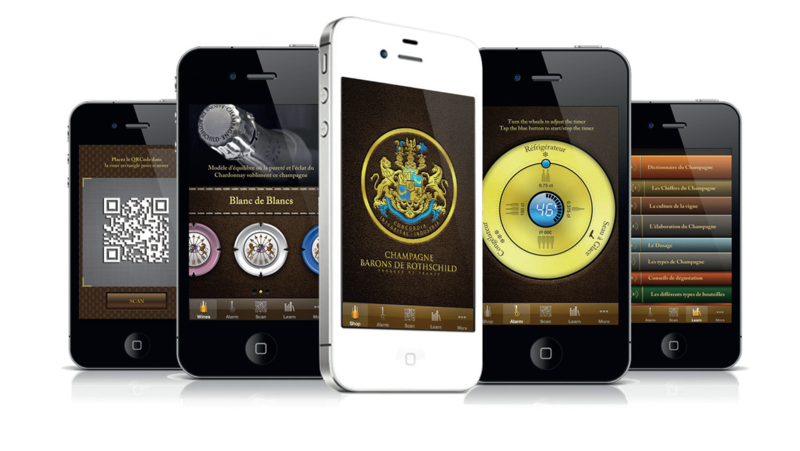 What is your best Champagne Barons de Rothschild memory? K.D. My visit in your House. Seeing the passion of the teams in a young House that begins to be a part of the Champagne history. 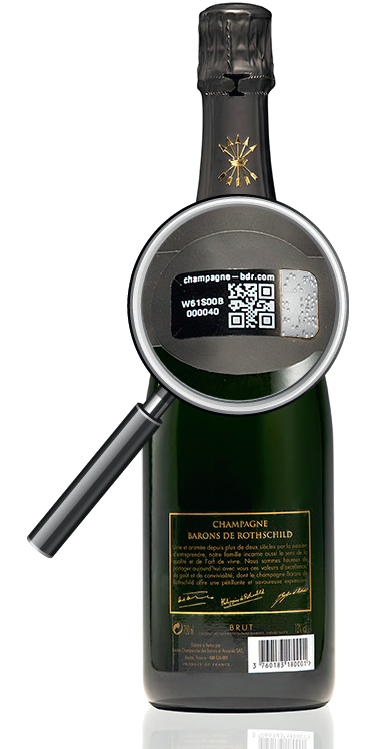 During this day we tasted the Vintage 2006 Blanc de Blancs – first vintage for Champagne Barons de Rothschild: a happiness and such an elegance. K.D. 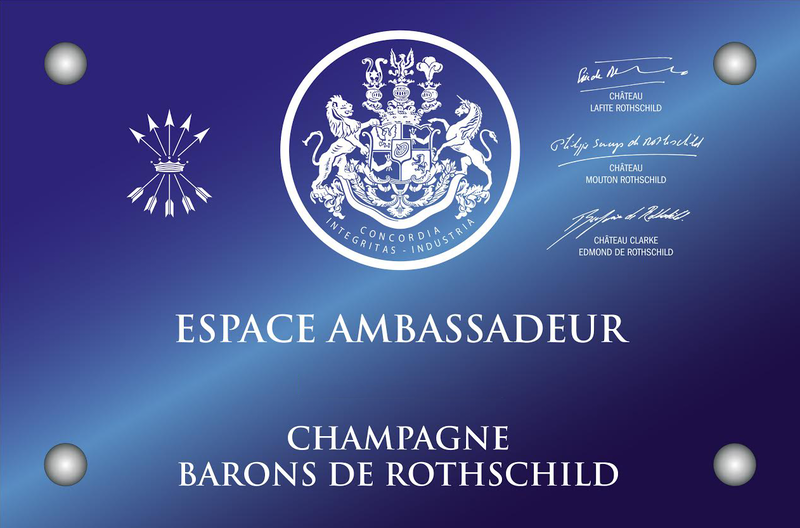 I started with a Hospitality school in Saint-Etienne for two years, followed by a Professional Certificate in Ain with a complementary Sommellerie Mention in Lyon for one year. 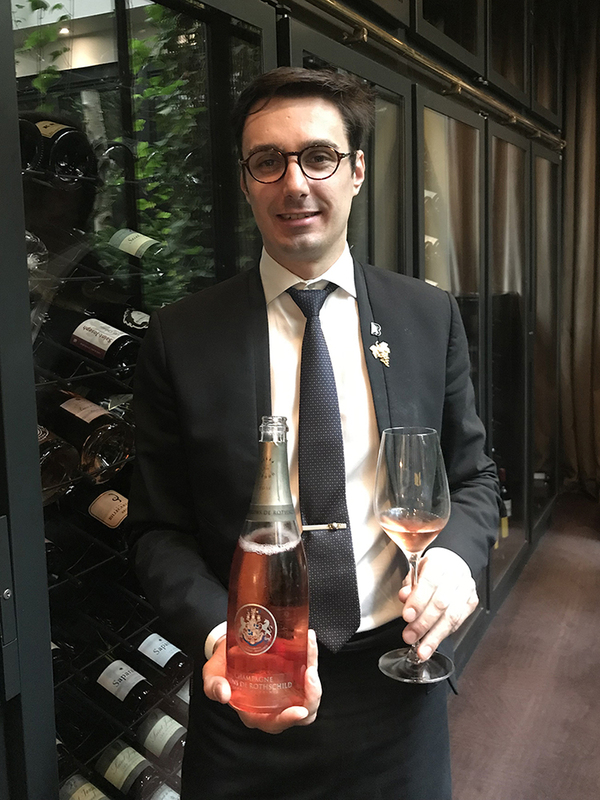 I started my career at François Gagnaire restaurant, in Puy en Velay, as Sommelier assistant for 9 months – a first very good experience, and then I worked in Paris, always with Mr. Gagnaire, at the 5 starred hotel Le Collectionneur for 9 months. 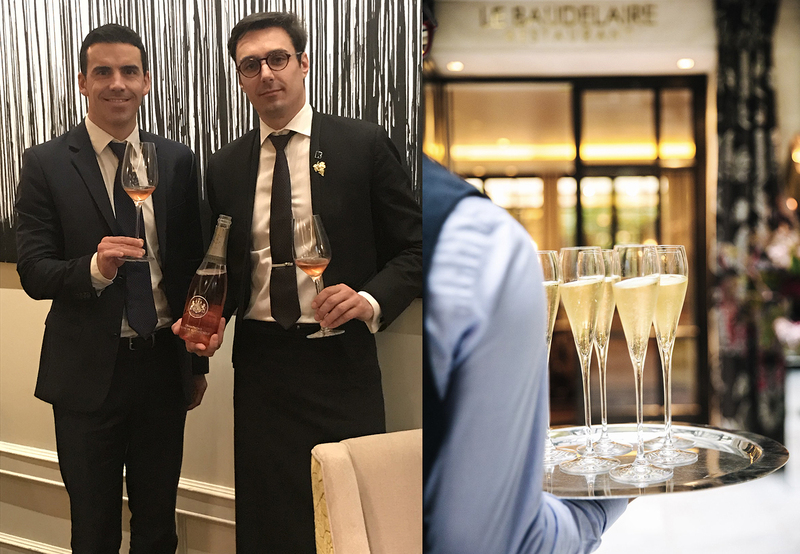 Now I am the Chef Sommelier at the restaurant Baudelaire – Hotel Burgundy for 4 years, I love Champagne: a “coup de Coeur” with 150 references on the wine list.